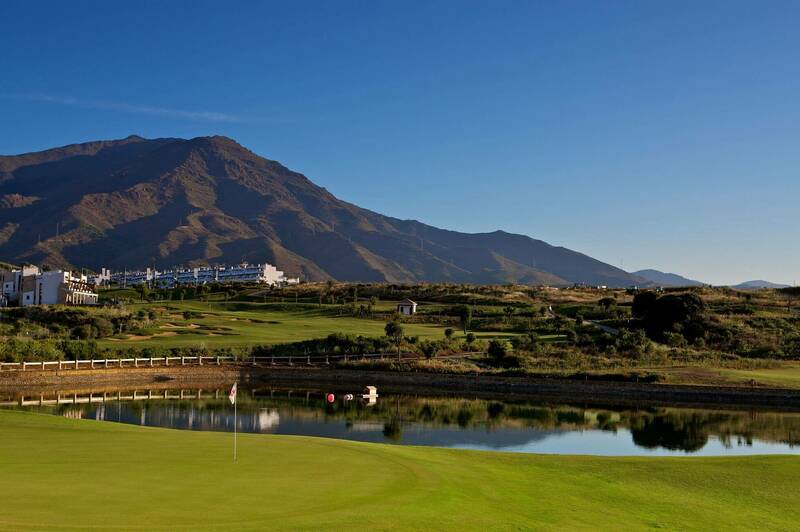 Valle Romano Golf course is a fabulous new course and one that you will want to play again and again. From the 1st tee shot of coaxing you into playing this par 5 to to the green in 2 shots its full of nice surprises. 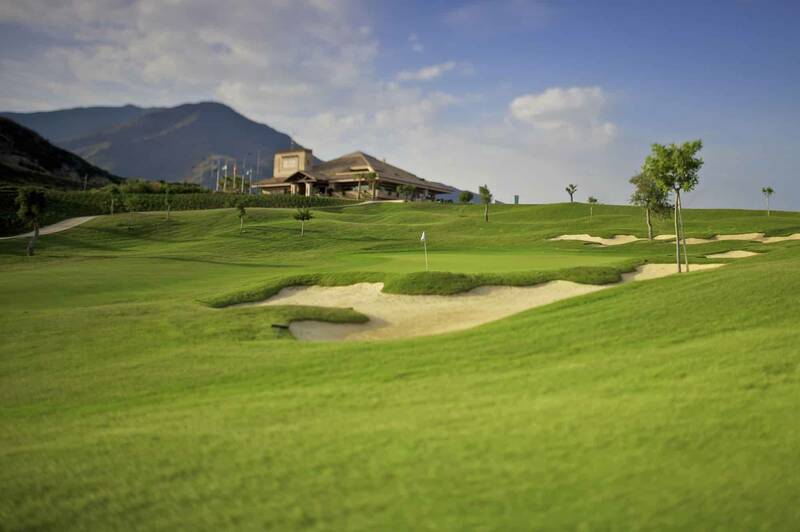 The Valle Romano Golf Course has been created by Cabell B. Robinson, one of the best golf course designers in the world and who also created Valderrama and Santana Golf. Gonzalo Fernández-Castañoa is sponsored by this club and along with a whole lot of other top names in the world of golf will be hoping to see it become a PGA tour course of the future. The playing surface is made from Tifsport grass and along with a superb drainage system is a course that is open 365 days of the year and only extreme weather conditions would see the course have to close for the day. It makes for superb and fast greens to test your putting skills. I love the par 4 5th hole with its lake protecting the green and out of bounds on the left, its a real tester. The par 3’s are long as well so you will find on most that you will need woods to get there. 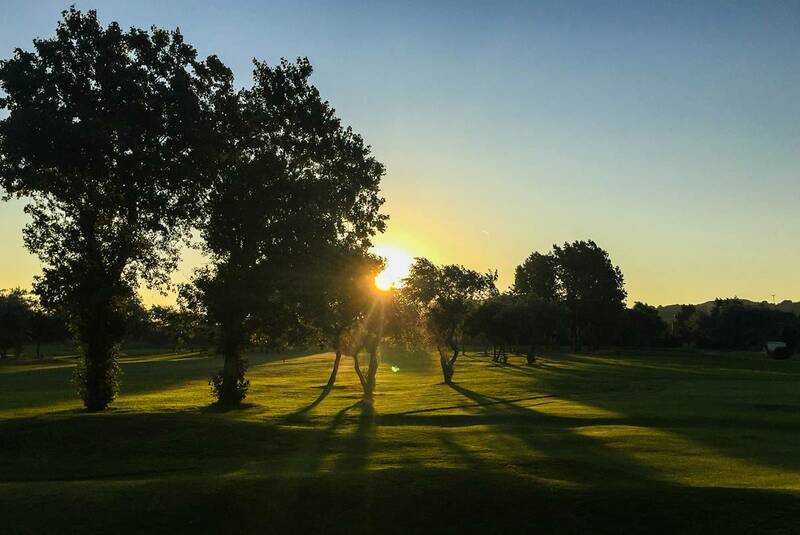 It is the only course on the Costa del Sol that you can see tee to green on every hole and when you think you have cracked the front nine, you then face a completely different back nine! It’s beautiful, challenging and above all else a pleasure playing this course. Try it, you will not be disappointed. The first is a dog-leg left, if your feeling confident try and smash a drive over the scrub on the left, if you carry you should easily be on in two shots. The fairway descends to the left and is protected by bunkers. A shot over the bunkers is recommended if you looking for a steady start. The hole has a large green, try to keep your ball below the hole here. Missing the green left will leave you struggling for a bogey. The putting green is guarded by two deep bunkers. The second par 5 is a tough ask in two. Safe tee shot, lay-up approach, is a good way to play this hole. The green is large and flat so good chance for a birdie here. Time for a breather short easy par 4. 200 meter tee shot leaves you with a simple pitch onto a spacious green. Lovely looking hole from the tee. Beware of the lake on the right it is closer than it looks. Try to leave your drive on the left otherwise it’s a tough approach over the lake. How brave do you feel. If you fancy taking the lake on you will have an easy second here. Large green, but favour the left as there is a bunker on the right. A fantastic par 5 leading up to the superb modern club house. At 498 meters from the yellow’s maybe two good shot will find you on the green. Slightly uphill so I suggest maybe one extra club here. Wonderful looking holes from the tee with olive and cork trees. Favour the right of the fairway with a draw if possible. Otherwise you will catch the many bunkers on the left. Finally! a short par 3. The large green should be easy to find from the tee then two easy putts for your par. One of the best holes on the course. You need to tee off over the scrub to a fairway below which you cannot see from the tee. The green is guarded by a large lake to the left and back of the green, so don’t get a flyer from the fairway. A beautiful par 3, aim to the left here. Large undulating green, so good first putt a must. Easy par 4 from the tee. A good second shot needed to the tight green. Don’t hit it long here!! Very easy wide par 4. Second shot is to a large raised green. Try to find the middle of the fairway here. 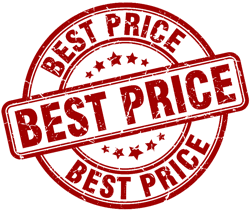 We would suggest laying up with your second to around 100 meter, as going for the green in two could find you in the trees or in one of the many deep bunkers. Try to find the left of the fairway here as you can get blocked out on the right hand side. Up hill par 4 to finish. A good drive and solid second shot should find you easily on the green . Two putts and you are on to the 19th for a cool San Miguel.